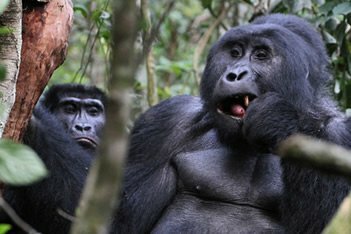 Best of ecotourism safaris in Uganda and Rwanda is one of our longest safaris that we recommend to most of our visitors that wish to discover Uganda and Rwanda’s Unique and spectacular natural wonders. This takes visitors in all corners of both countries hence making it a best ecotourism tour. In Uganda this takes you through Kampala City Tour, Murchison Falls, Kibale, Queen Elizabeth, Lake Mburo, Jinja up to Mbale as we encounter Mt.Elgon ecotourism in the Eastern parts of Uganda as it’s said to be Africa’s oldest volcanic mountains with the largest volcanic caldera hence providing a great ecotourism scenery. On arrival, you will be met by our staff at Entebbe International Airport, he will help you with your luggage to the car and transfer you to your hotel for an overnight stay. He will brief you about Uganda and highlights of your travel itinerary. Dinner and overnight stay at Kampala Serena Hotel (Up market) or Makerere University Guest House (Budget facility) Meal plan (D). After a long relaxing sleep enjoy a leisurely morning as you acclimatize yourself to Uganda’s fantastic climate then go for a city tour around Kampala’s interesting areas. Visit to Namugongo(Uganda Christian martyrs), Kasubi tombs (Burial place for Buganda Kings), Uganda museum, crafts market, Namirembe colonial church, have some time for lunch and probably visit the Ndere Troop cultural center in the evening. dinner and overnight stay at Kampala Serena Hotel (Up market) or Makerere University Guest House (Budget) for dinner and overnight stay. (B, L, D). Day 3: Drive to Masindi and Ziwa rhino sanctuary. After breakfast begin an approximate 6 hours travel to Masindi for a great eco tour Uganda, Have lunch a long the way probably at the head quarters of Ziwa Rhino sanctuary. As we cover best of ecotourism safaris in Uganda and Rwanda, Ziwa is a breeding center for Rhino reintroduction into Uganda wildlife areas especially Murchison falls national park, where its Rhinos were hunted to extinction. The sanctuary has 6 rhinos including one youngest baby born in Uganda. After lunch go for Rhino tracking which should take 30 min to 3 hrs, while tracking you have an opportunity to seeing a variety of savanna birds, Bush bucks, Hares and Mongooses as we enjoy the best of ecotourism in Uganda. Overnight and dinner at Masindi hotel (Lodge facility) or Ziwa rhino Bandas (budget facility). Meal plan: Breakfast, Lunch and Dinner. 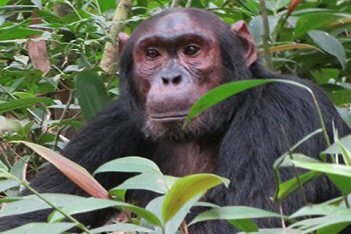 After an early breakfast drive to Kanio Pabidi, a chimp ecotourism centre in Budongo forest, walk beneath a natural forest of about 120 chimpanzees but only 30 chimps are habituated for tourism under mature mahogany and iron wood trees. Budongo forest is one place that still bares it natural vegetation hence good for ecotourism, There are several other primate species such as the Black and white Columbus monkey, Red tailed monkey, Blue monkey, Velvet monkey and Baboons. The Forest enjoys a prolific bird life especially the chocolate backed kingfisher and the Pruvels illadopsis found nowhere else in East Africa. The walk will take 2 to 3 hours in the search for the famed man closest wild relatives. Having encountered Budongo forest ecotourism, come back and relax at the coffee terrace, have lunch and head north to Murchison Falls National park for great wildlife scenery. Take a stop over at the top of Murchison falls for great ecotourism scenery at falls, this is river Nile’s crowning glory, here the river funnels through a narrow fissure in the rift valley escarpment, only to erupt out on the other side in a crushing 43m plume of white water. The calm river then gives comfort to a profuse of bird life, thousands of hippos, and huge open-mouthed crocodiles. The falls were named after the president of the Royal Geographical Society by the explorer Baker in 1864. He considered these falls to be the most important object through the entire course of the Nile. From here you shall continue to take a ferry to the luxurious Paara lodge as you look out for wildlife that may be seen grazing a long the way hence making the entire ecotourism safari in Uganda and Rwanda interesting. You shall check in to your hotel in the late evening.Overnight and dinner at Nile Safari Lodge (Lodge facility) or Red chili camp site (Budget facility). Meal plan: Breakfast, Lunch and Dinner. Our ecotourism safari in Uganda and Rwanda starts with an early morning breakfast hence go for an early morning game drive through palm studded grassland that supports dense populations of African Lions, African Buffaloes, African Elephants and Uganda cob together with the localized Rothschild giraffe and Pattas monkey. Come back for lunch,then relax as you get ready for an afternoon boat ride hence making ecotourism safaris in Uganda and Rwanda interesting. After lunch go for a 3 hours boat cruise to see how the mighty river is funneling through a narrow fissure in the rift valley escarpment. The calm river then gives comfort to a profuse of bird life, thousands of Hippos, and huge open-mouthed Crocodiles. Come back in the evening to enjoy your sun-downer at the hotel swimming pool terrace. Overnight and dinner at Nile Safari Lodge (Lodge facility) or Red chili camp site (Budget facility). Meal plan: Breakfast, Lunch and Dinner. After breakfast you will have an early morning start so as to report at Kanyanju ranger station at 8:00 am the tracking start time for Chimps. This is a primatologist dream; it hosts a population of more than 1000 chimpanzees and an 80 strong community has been habituated to tourist visits as well as a half dozen readily observed monkey species including the acrobatic red Columbus, black and white red Columbus and the handsome L`Hohest monkey. These delightful apes are a tremendous fun to watch as they squabble and play in the trees; and the shady forest trails provides much more to delight Botanists, Butterfly lovers and Birders. 335 species of birds have been recorded including the endemic Prirogrines ground thrush while the much smaller and hairy forest Elephant and other terrestrial mammals like Buffaloes, Giant forest hogs can also been seen, hence making the entire ecotourism safaris in Uganda and Rwanda more interesting. The ecotourism safari in Uganda and Rwanda starts with an early morning game drive to provide you with excellent opportunities to view game. Head to the floor of the rift valley teamed up with a lot of wildlife making it one of the treasures of the continent. The Kasenyi sector is known for its abundance of Lions that prey on the very many Uganda Cobs found in the area. Other game to be seen include; Elephants, Buffalo, Leopards, Water buck, Bush buck, Warthog and the unexpected Giant forest hog the African largest wild pig which is usually associated with dense forest rather than semi open forests. Come back at 11:00 am for a late breakfast. After lunch enjoy the unique cruise on the Kazinga channel, the 40 km channel connects two rift valley lakes Edward and George, these remember Queen Victoria sons and heir Edward VII and successor George V. the launch trip on this channel is an excellent opportunity to view the varied and abundant wildlife populations. These include: African Elephants, Hippos, African Buffaloes and Nile crocodiles. Not to mention large numbers of resident and migratory bird species. Come back early enough for a sun-downer. The entire ecotourism safaris in Uganda and Rwanda will enable you discover several great scenery. Dinner and overnight at Mweya Safari Lodge (Lodge facility) or Ihamba Safari Lodge (Budget facility) Meal plan: Breakfast, Lunch and Dinner. Our best ecotourism safaris in Uganda and Rwanda starts with an early morning coffee then drive to fig tree camp, the tourist center for Kyambura river gorge. Track chimps in the dramatic gorge on the eastern side of the park 35 km from Mweya lodge. The 16 km gorge is a home to 30 chimps and also hosts the black and white Columbus monkey, Red tailed monkey, Velvet monkey and Baboons, the birds include the Black and white casqued horn bill, Great blue turaco, Ross turacco and Black bee eater among others. After your packed lunch drive to Ishasha Sector the home of the climbing lions. 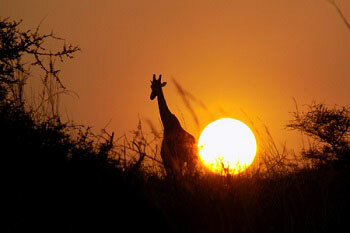 In about 124 km from Mweya lies Ishasha, the southern sector of the park, a sector which provides a true wildness experience; diverse habitats including the marshy lake Edward flats and beautiful acacia studded Savannah supporting a variety of wildlife including the famous tree climbing lions and the rare Shoe bill; big mammals that can be seen in the sector include, Topi, Elephants, Buffaloes, Cob, Water buck and may more. Dinner and overnight at Mweya Safari Lodge (Lodge facility) or Ihamba Safari Lodge (Budget facility) Meal plan: Breakfast, Lunch and Dinner. Our Ecotourism safaris in Uganda and Rwanda morning game drive at the park then drive to Jinja, driving through a beautiful Ugandan countryside, look out for the long horned cattle, colorful road side fruits and vegetable markets and as you a bout to reach Kampala, the road crosses the equator at the trading centre of Nabusake marked by a pair of unsightly but more photographed white cycles and a local entrepreneur has set up buckets and jugs to demonstrate for a small fee how water swirls in opposite directions in the north and southern hemisphere. On our best ecotourism safaris in Uganda and Rwanda we drive to the source of the longest river in Africa the Nile river. The source of the Nile eluded too heavily in the ancient writings of Ptolemy stood as one of the great geographical mysteries of the Victoria age. The desire to uncover this geographical holy creel inspired the epic journeys of exploration under taken by Dr. Livingston, HM Stanley, Burton and Speke.